Tired of struggling with twisted hoses and clumsy reels? 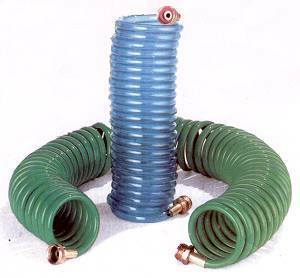 Our recoiling, kink-resistant hoses stretch out kink-free for any household or gardening chore, then automatically recoil into original shape for quick and easy storage. These hoses are lightweight and easy to use, perfect for anyone tired of struggling with heavy , hard to manage rubber hoses. These are of the same high quality the professionals use in your local supermarket produce section.